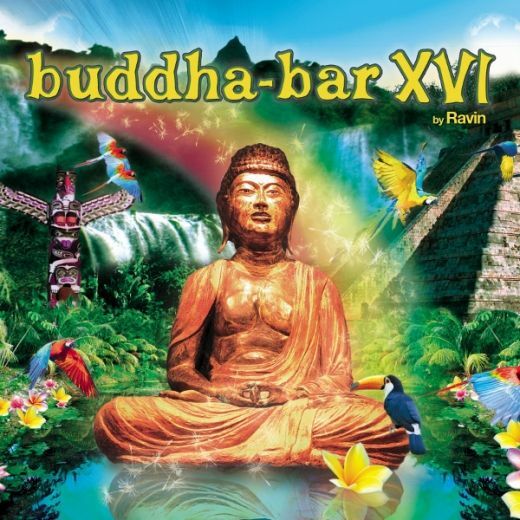 Buddha-Bar XVI's inspiration come from South America, this new opus promises warmth and pleasure taking you to an airy and captivating dream. Bold rhythms, hypnotic compositions and aesthetic arrangements are the hallmarks of this new selection charged with emotion. Travel along the Amazon set among unknown lands and let yourself be carried away by the fresh and soothing melodies that cover. On the way, meet Laidback, SoulAvenue, Ganga, Dreamers Inc and even Nocha Sotomayor or Angel Tears. Continue your journey and dance with a mix of electronic sounds created by the master’s hand, DJ Ravin. Also listen to Kaan Gokman, Parov Stelar, Mercan Dédé, Kadebodestany and many more!